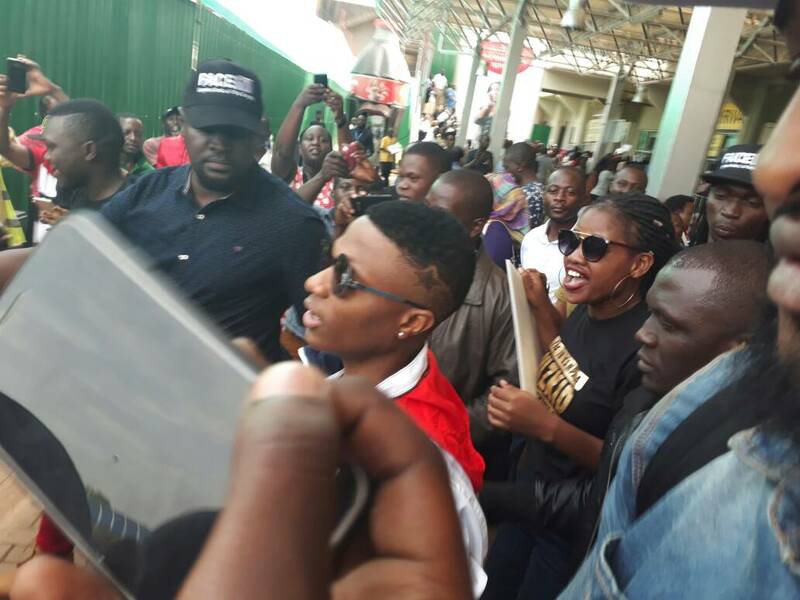 Nigerian Singer Wizkid has finally touched down Ugandan soil ahead of his concert Tomorrow at Cricket Oval in Lugogo. He arrived a few minutes to 3pm amid loud cheers from fans that didn’t think he would make it. Wizkid was supposed to land at 9pm last night but didn’t make it as he was said to have missed the flight. On December 2, last year, WizKid cancelled his concert in Kampala, a day before the event, because he had missed his flight. This year, to make sure that the singer does not fox Ugandans, Face TV who are the organisers of the show sent their Executive director to South Africa to pick the singer.